Union Home Minister Rajnath Singh on Monday said that the Centre has ordered Central Bureau of Investigation (CBI) inquiry in the alleged Staff Selection Commission (SSC) paper leak scam. This comes amid protest by scores of SSC aspirants against the alleged paper leak. 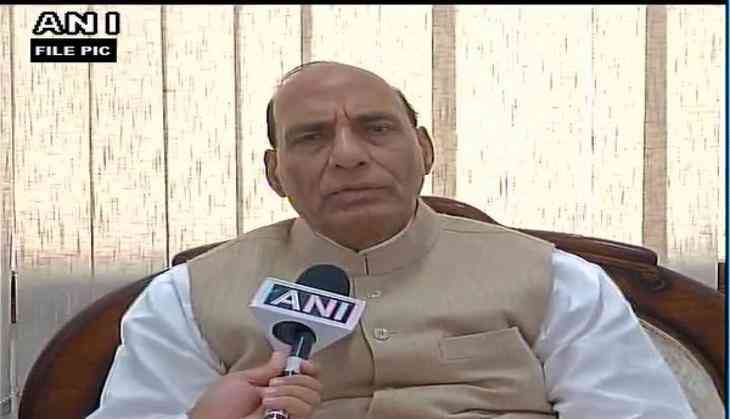 Rajnath also appealed the students to call off their protest. "We have accepted demands of protesting candidates and have given orders for CBI inquiry, the protest should now stop," Rajnath said. Meanwhile, taking to his twitter handle, Congress MP Shashi Tharoor said that he had a word on the issue with Union Minister Jitendra Singh, who assured him a CBI inquiry in the matter. "Spoke to @DrJitendraSingh in Parliament today. He has agreed to a CBI inquiry on all the issues raised by the students protesting the SSC-CGL Mains papers (leak, the conduct of exams etc). I thank him for his willingness to listen to these legitimate demands w/an open mind. #sscscam (sic)," Tharoor tweeted. Tharoor also urged the students to call off their protest. "I now urge the protesting students, whom I have supported all the way, to call off their agitation. It is time to acknowledge victory &move on (sic)," he added. Earlier in the day, the Supreme Court decided to hear a plea seeking an investigation into the alleged Staff Selection Commission (SSC) exam paper leak on March 12. Since February 27, students have taken to the streets of Delhi, protesting in thousands against what they term as "mass cheating". Earlier on Feb, 28 a group of students led by BJP MP Manoj Tiwari took the streets against the alleged leak in the SSC examination and termed it as 'mass cheating'. On Feb 24, the SSC released a notice saying that the exam held on Feb 21 was delayed due to 'technical reasons' and will be re-conducted on March 9, 2018.